There are already a few examples of high voltage DC transmission projects in the United States, which boast lower costs and a smaller physical footprint by avoiding additional power conversion equipment while supporting higher transmission efficiency. At lower voltages (i.e. <1 kV), simpler controls and fewer conversion stages have made DC microgrids an appealing option for datacenters, industrial facilities, and office blocks. This is because energy storage, renewables, electric vehicle charging and electronics load integration commonly connected to microgrids all operate on DC platforms. There is a tremendous opportunity to extend the benefits of DC power to medium voltage (MV) markets, particularly in primary distribution (i.e. 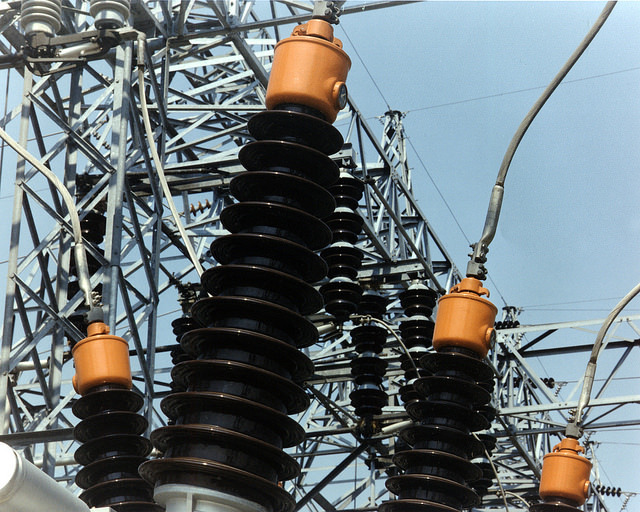 4 kV – 69 kV). These distribution systems are connecting to an increasingly DC world: On the consumption side, over 50% of electricity used in the United States today arrives as DC at its point of use, and 80% of electricity will pass through power electronics conversion hardware by 2030. MVDC expansion makes connecting a growing DC portfolio of energy consumers (e.g. power converter electronics) and producers (e.g. solar PV and fuel cells) much less complex. As the MVDC market matures, meshed DC distribution and large-scale grid integration of renewables and storage is expected to grow, driven by higher efficiency and flexible system operation. In the near term, countries with existing AC networks could benefit from leveraging an integrated multi-point DC grid as a backbone to the existing grid, resulting in improved capacity and greater grid resiliency. There is also interest in MVDC applications for subsea applications such as oil and gas production, and offshore wind, with significant cost reduction potential via increased power carrying capacity and reduced cables and losses. MVDC power circuits/supplies are also prevalent in high energy physics (e.g. Large Hadron Collider) and nuclear fusion (e.g. fusors) applications. Several ARPA-E programs have been instrumental towards enabling DC transmission and distribution. ARPA‑E’s GENI program advanced DC technologies including multi-terminal high voltage DC (HVDC) networks and HVDC circuit breakers. On the materials side, ARPA-E’s ADEPT and SWITCHES programs supported the development of wide band-gap (WBG) semiconductor devices for high voltage, high current applications., SWITCHES’s successor program, CIRCUITS, launched in 2018, helps to accelerate the development of new power converters based on WBG semiconductors. Although these programs have addressed several technological challenges to DC distribution and transmission, the lingering risk of electrical fault scenarios (i.e. short circuits and overloads) remains a primary hurdle preventing the growth of DC markets. Circuit breakers, current limiters, and fault detection mechanisms are essential to grid resiliency in a number of ways: sectioning the grid during a fault; preventing damage to wiring, power electronics, and other important assets; and restoring power to the grid after a fault is cleared. Since, unlike AC, DC does not exhibit natural current zero-crossings (the result of alternating the flow of electricity back and forth), novel methods for fault isolation have to be developed to safely bring the fault current to zero. The complexity of existing HVDC circuit breakers makes it difficult to scale down to MVDC levels without substantial compromises in operational efficiency and cost. Conversely, low voltage DC devices do not have the response time necessary to prevent hazards at higher voltages, and therefore cannot be scaled up to MVDC levels. For this reason, ARPA-E is investigating a new area of interest: Building Reliable Electronics to Achieve Kilovolt Effective Ratings Safely (BREAKERS). The BREAKERS program seeks to fund the advancement of MVDC circuit breaker technologies, with a focus on system level integration and response. If successful, this program will remove a major barrier to MVDC adoption, de-risking the transition from AC to DC for mature industries (e.g. subsea oil and gas exploration) in the near term while enabling long-term market growth in renewable energy, electrified transportation, and distributed energy resources.